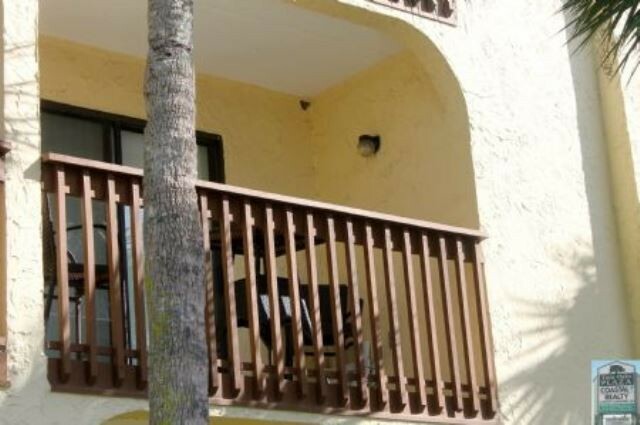 This lovely two bedroom two bath unit is located at the St. Augustine Ocean & Racquet Resort and requires a three-night minimum stay. 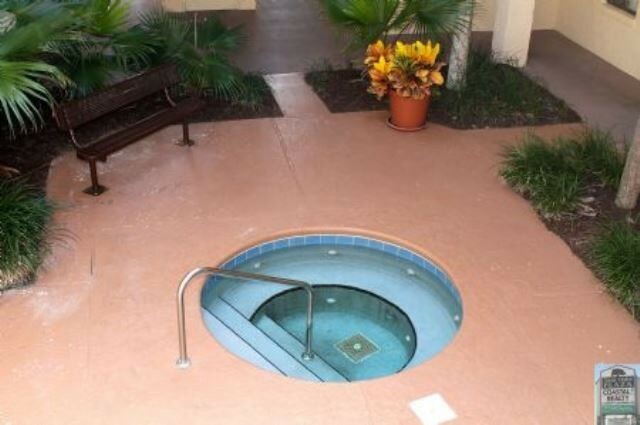 The unit is a second floor walk-up with a Jacuzzi in the center court yard of the building. The Living Room has a 50" wall mounted LCD TV and unit comes with pre-paid private WI-FI in condo. 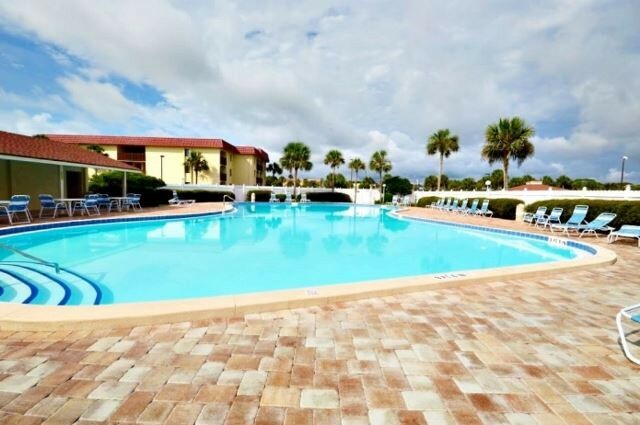 Full WI-FI ACCESS THROUGHOUT COMPLEX is available which can reach beach in front of complex ! A phone provides free calling anywhere in US and the unit has tile & wood floors with throw rugs as appropriate. The master bedroom has a Queen size bed with LCD TV and the guest bedroom has twin beds. The kitchen has been remodeled and is fully equipped. This unit is fully inventoried with all linens and towels with modern front loading washer and dryer in the unit. Balcony has high back chairs for perfect breakfast mornings. Sorry, NO PETS per association rules and NO SMOKING. 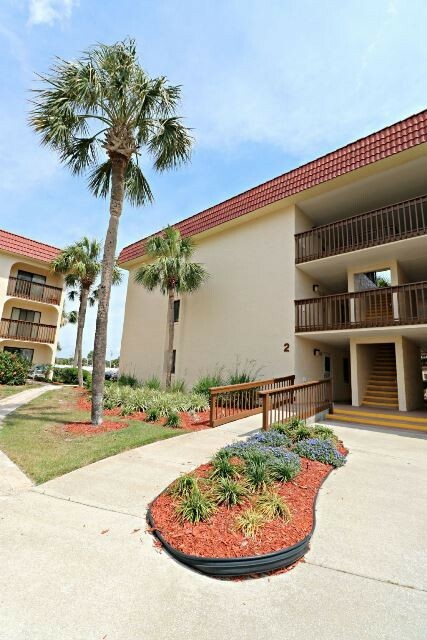 This unit is just one building away from the boardwalk to the beach. This resort has tennis courts, shuffleboard, racquetball courts, two pools with one pool HEATED. Staffed guard house at entrance provides 24 hrs. security throughout the complex. Please contact me with information regarding 2203 Jacuzzi Villa 2nd Floor N.